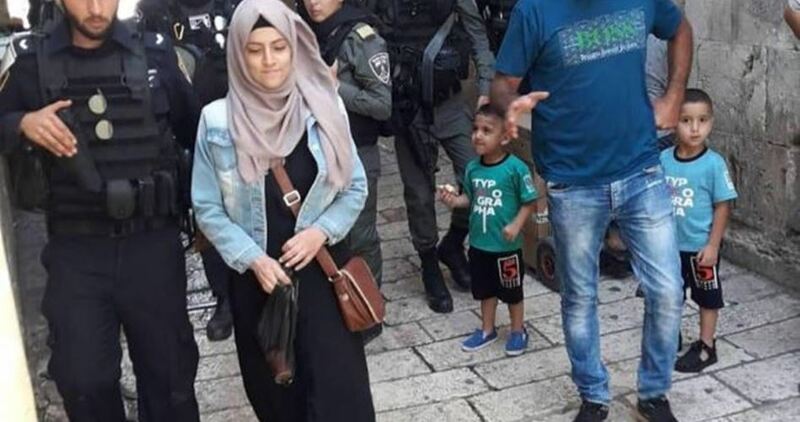 Palestinian instructor Khadija Khweis said Israeli cops arrested her 16-year-old daughter Shifaa Abu Ghalia, right as she left the Aqsa Mosque through the Hitta Gate. Khweis added that her daughter was dragged by Israeli policemen to a detention center in Jerusalem’s Old City pending intensive questioning. Sometime earlier, Israeli police ordered Khadija Khweis to turn herself in for questioning on Sunday afternoon, in what the instructor feared was a prelude to a ban from al-Aqsa Mosque. The Israeli military court of Ofer has extended the administrative detention of Palestinian prisoner Ismail Farraj for the fourth consecutive time. 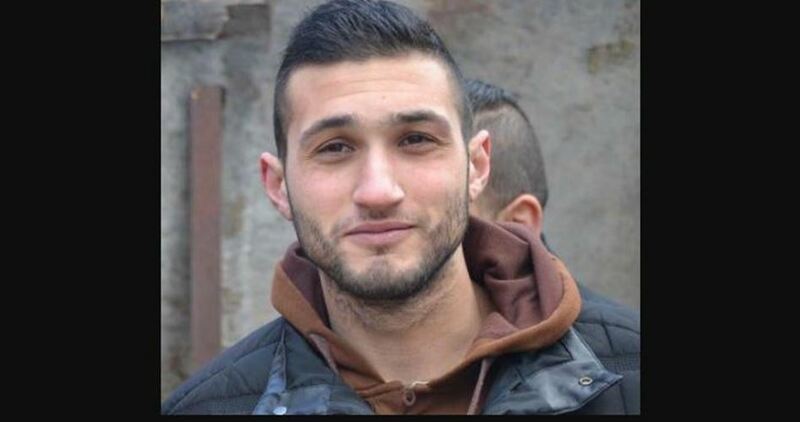 The court verdict was handed to prisoner Farraj in Ofer jail, and it stated that the court responded to the request of the military prosecutor, who asked for the extension at the pretext that the detainee was still a threat to Israel’s national security. Farraj, a university student, was kidnapped from his home by Israeli soldiers in April 23 in al-Dawha town in Bethlehem. Deputy speaker of the Palestinian Legislative Council Hasan Khreisha on Sunday called for expanding the Great March of Return protests to include the occupied West Bank. In an interview with the PIC, Khreisha asked the Palestinian Authority president Mahmoud Abbas to lift the sanctions imposed on Gaza and treat the Palestinians living in the West Bank and Gaza Strip equally. Khreisha called on the Palestinian Authority to boycott meetings with US officials and stop normalization and negotiations with the Israeli side as a protest step against the “Deal of the Century”. The Great March of Return was launched in Gaza on 30th March with five major camps set up along Gaza’s border with the 1948 occupied Palestinian territories. The Great March of the Return basically calls for lifting Gaza blockade and demands the right of return for Palestinian refugee in accordance with relevant UN resolutions, particularly Resolution 194 which provides for return or compensation. Based on official statistics, since the start of Gaza border protests, 180 Palestinians have been killed by the Israeli army, including 27 children, three girls, three paramedics, and two journalists, and over 18,300 injured. According to Gaza Ministry of Health, the Israeli army is detaining the bodies of 9 Palestinian martyrs who were killed close to the border fence during the protests. The umbrella Palestine Liberation Organization (PLO) has slammed a US decision to cut more than $200 million in aid to the Palestinians. “This is flagrant declaration that the real aim of US aid is to interfere in the internal affairs of other peoples and affect their national rights,” PLO Secretary-General Saeb Erekat said in a statement on Saturday. Erekat said the US decision to cut aid “is a sign that [Washington] had abandoned its international obligations”. “The Palestinian people reject any conditional aid,” he stressed. A senior State Department official said Friday that the US cut more than $200 million in aid to Palestine following a review initiated by US President Donald Trump. “At the direction of President Trump, we have undertaken a review of US assistance to the Palestinian Authority and in the West Bank and Gaza to ensure these funds are spent in accordance with US national interests and provide value to the US taxpayer,” he said. In January, the Trump administration had made drastic cuts to its contribution to the UN agency for Palestinian refugees, UNRWA. Trump has sparked a global anger over his decision to unilaterally recognise Jerusalem as Israel’s capital last December. The move undercut long-standing underpinnings of Israeli-Palestinian peace talks where the city’s status was to be determined as a final-status issue. In addition, the other six gates are controlled by Israel. Four of these have remained closed for years whereas Kerm Ebu Salim border crossing is used for the transportation of the commercial products, under certain restrictions. Israeli police rounded up seven Palestinians, including a girl, in occupied East Jerusalem on Sunday, according to a local NGO. Police forces raided a number of houses in the town of Isawiya and arrested a number of people there, Amjad Abu Asab, head of a local committee tasked with following up affairs of Palestinian detainees, said. 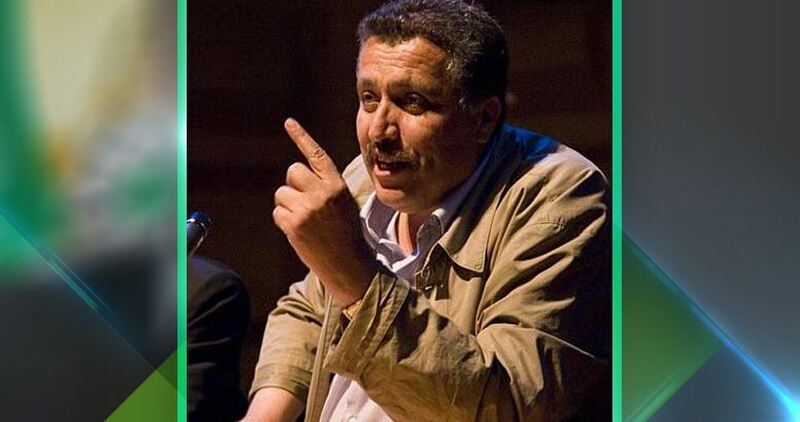 No details were available about the identity of the detainees. 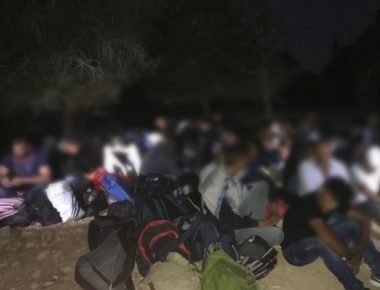 According to local residents, a 15-year-old girl was arrested by Israeli forces shortly after leaving East Jerusalem’s flashpoint Al-Aqsa Mosque. A Palestinian youth was also detained during an Israeli raid in the Shuafat refugee camp in Jerusalem, according to Mohamed al-Sadeq, the director of the Jerusalem Media Center. There was no comment from the Israeli police on the report. AL-QUDS, PALESTINOW.COM — Israeli soldiers abducted, on Sunday at dawn, four young Palestinian men, from their homes in the al-‘Isawiya town, in occupied East Jerusalem. Media sources said the soldiers invaded and ransacked several homes in the town, and abducted Tareq Firas Mustafa, Adam Kayed Mahmoud, Mahmoud Kayed Abu al-Hummus and Mahmoud Abu Sneina. It is worth mentioning that dozens of soldiers invaded the town, on Saturday at night, and fired live rounds, rubber-coated steel bullets and gas bombs at local protesters. In Jenin, in northern West Bank, the soldiers invaded an area near the Arab American University, and confiscated a bulldozer. In related news, the soldiers abducted four young Palestinian men in Beit Ummar and Halhoul towns, near Hebron, in the southern part of the occupied West Bank. The world governing body of football ignores Israel’s attacks on Palestinian athletes while it sanctions the President of the Palestinian Football Association. FIFA is again showing its true face as a corrupt and complicit organization,betraying its self-professed commitment to human rights. 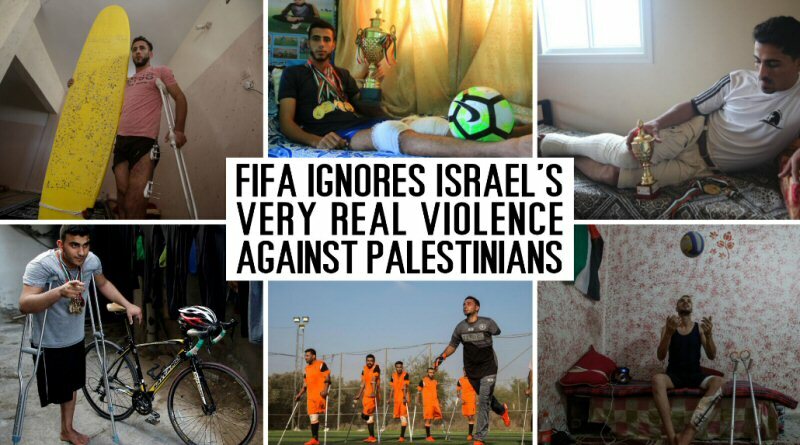 FIFA has for decades ignored Israel’s violent attacks on Palestinian athletes and sports facilities and its prevalent anti-Arab racism and Islamophobia. FIFA is therefore complicit in whitewashing Israel’s grave violations of Palestinian human rights. The Argentina national team cancelled its friendly with Israel earlier this year after realizing how such a match would sports-wash Israeli apartheid and military occupation and hurt the nonviolent Palestinian struggle for freedom, justice and equality. Similarly, many artists, including Lorde and Shakira, have cancelled performances in Tel Aviv. Just as in the struggle against apartheid South Africa, the Palestinian-led global BDS movement for Palestinian rights will continue to isolate Israel’s regime of oppression until Palestinian rights are respected. And just as in South Africa, Israeli apartheid will be defeated too. Throughout the occupied West Bank, on the Saturday and Sunday before Eid al-Ahda, settlers launched a wave of agricultural and vehicular attacks against Palestinians. Early morning on Sunday, August 19, settlers attacked a vehicle driving down the Qalqilya-Nablus road with stones, injuring four, according to Wafa. Settlers were reportedly from Yitzhar settlement, south of Nablus. Late in the night of the same day, settlers punctured the tires of multiple Palestinian vehicles in the neighborhood of al-Issawiya in occupied East Jerusalem. Racist graffiti was spray painted on walls and various vehicles throughout the neighborhood. The group and its various vandalism attacks were initiated in 2008 as a “price tag” for the removal of illegal outposts in the West Bank, and they’ve continuously been on an incline until today. On Saturday, August 18, settlers uprooted dozens of olive trees in Ras Karkar, in the Ramallah governorate. Spray painted graffiti of racial slurs in the Hebrew language were also found on the walls of a water well on the private Palestinian land that the destroyed trees were a part of. Dozens more olive trees in Arrabeh, south of Jenin, were also chopped down by settlers the same day. According to Palestinian news agency Wafa, this wave of attacks is linked to the death of a settler woman in a hit-and-run car accident that took place last Thursday. Near the Havat Gilad settlement, a settler woman in her 40s sustained injuries from the car accident until paramedics arrived, who eventually had to pronounce her dead on the scene after revilitization efforts failed. The hit-and-run perpetrator was a 60-year-old Palestinian taxi driver, who later turned himself in to authorities insisting that it was an accident and that he fled out of fear. Settler attacks on Palestinian homes in the villages of Jaloud and Asira al-Qiblia since Thursday have also been reported. The United Nations Office for the Coordination of Humanitarian Affairs (OCHA) reported in June of this year that settler violence has been on the rise. In the first four months of 2018 alone, OCHA documented 84 incidents of Israeli settler violence that resulted in 27 Palestinian casualties and 57 cases of damages to Palestinian property. This is the highest monthly average recorded since 2014, representing a 50 percent increase from 2017 and a 164 percent increase from 2016. The Nablus governorate is consistently the highest targeted area.